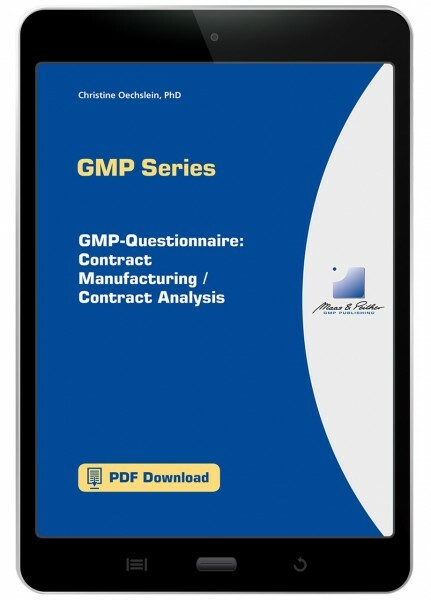 SOP "GMP-Questionnaire: Contract Manufacturing / Contract Analysis"
103,53 € * inkl. gesetzlicher MwSt. This file is in PDF format! To view PDF files, we recommend using the Adobe Reader. You will receive an advance invoice. After payment is received an email with the download information will be sent. Immediately after the credit card payment you will receive an email with the download information. The invoice will be sent by postal mail as soon as possible.